A death metal band singing about war shares a natural affinity. A perfect soundtrack to an uncompromising subject matter executed here by veterans of the genre. 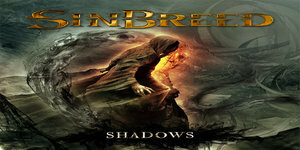 The third album from the band centers on war tactician and field marshal Edwin Rommel whereas the band previous two albums concentrated on wars, namely the German/ Soviet war for debut ‘…of Frost and War’ and the pacific campaign of World War II for the follow up ‘On Divine Winds’. Martin Van Drunen is the focal point of the band due to his contribution to the genre as a whole, based on two undeniably classic albums Pestilence’s ‘’Consuming Impulse’’ and Asphyx’s ‘’The Rack’’. Hail of Bullets share a musical kinship and history with Bolt Thrower with their steamrolling riffs flattening everything in it’s path accented by Van Drunen’s distinctive broken glass rasp and being a former member, which makes for an unsettling battle cry within the context of the band’s lyrical inspiration. The music like the overall concept has not progressed with only a few bells and whistles added mostly as added tones. That may sound like an insult but when it comes to this style we can easily forgo musical progression when presented with songs like ‘’Swoop the Falcon’’. 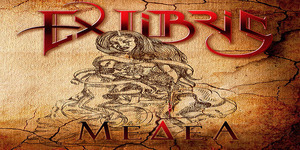 Having seen the band live I strongly recommend them to any fan of the genre – as the live arena is where this riff based style comes alive and delivers its biggest blows. The special edition of the album comes with a DVD, which shows you what the band can do live and is the best introduction to the band before you venture into the bands catalogue. This edition also comes with a sewn patch, which will ward off posers! 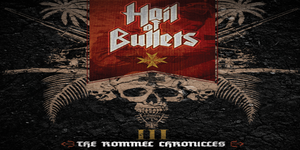 Hails of Bullets III ‘The Rommel Chronicles’ is a more than ample tonic for any death metal fan and tide you over until they march over the world on tour. Influences and inspirations comes from places sometimes little known or not traditionally popular. Such is the case often with bands in the power metal genre. As I have stated on many occasions the genre was so great at one point, perhaps leading the way in producing so many talented musicians, but as with anything, it got way to overcrowded and mimicked, hence the originality of the music significantly dropped after a while.